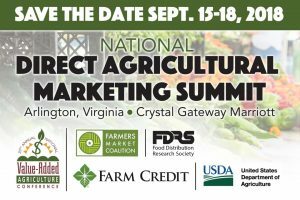 In partnership with the USDA, Food Distribution Research Society, National Value-Added Agriculture Conference, and Farm Credit Council, FMC is excited to host the 2018 National Direct Agricultural Marketing Summit – the first of its kind in the United States! The summit is specifically designed for farmers market managers and direct-marketing farmers wanting to learn more about new industry resources and recent direct-to-consumer research and data, as well as join in on technical assistance workshops. Best of all, there will be numerous networking opportunities throughout the summit to form partnerships and solidify all that you learn. We hope to see you there!